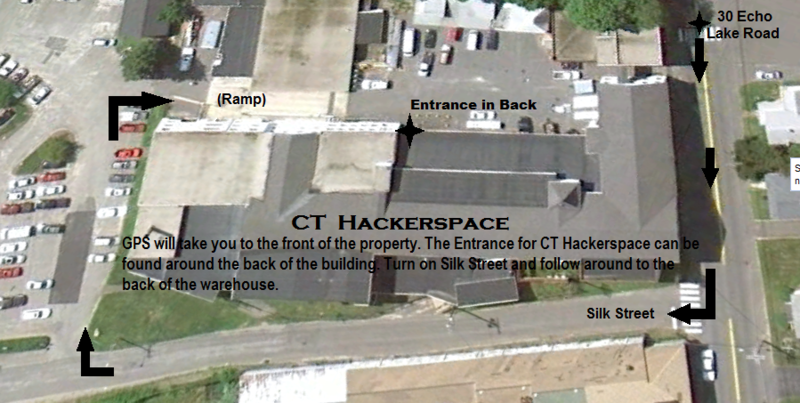 6) Take a left on Silk St, pass the large building on the right and turn right. Make another right up the ramp and enter at the door at the ramp. 7) Head up one flight of stairs, we are on the right. A Second Entrance Now Exists! Use your GPS to 30 Echo Lake Road, Watertown. Look for an 1-lane underpass drive between Main and Silk. The underpass is between a brick building and the white factory building. You can pull in and park in the upper lot if you are not blocking any businesses. Otherwise the lower lot is fully available. 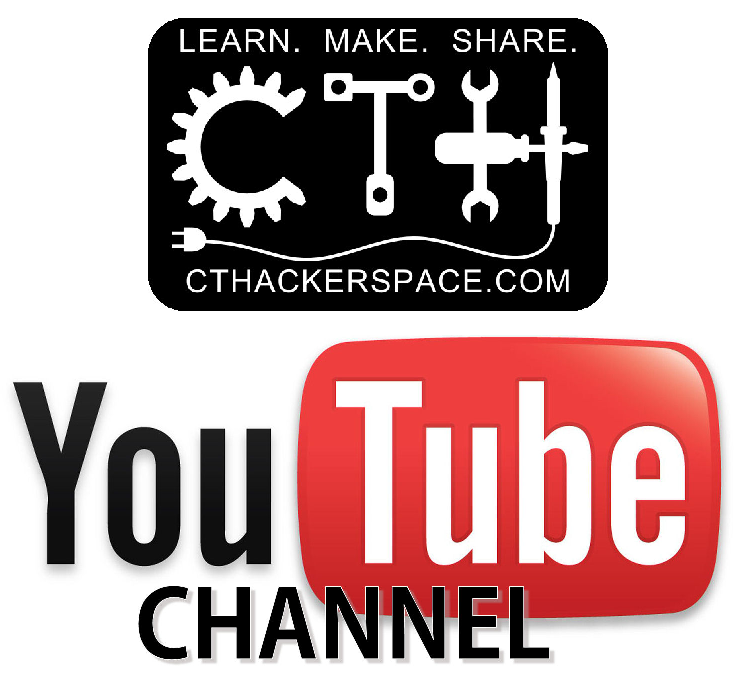 Look for glass doors at the upper lot, and follow signs up one floor to CT Hackerspace.